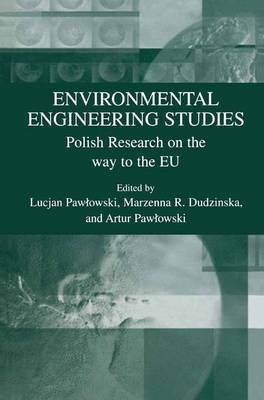 ENVIRONMENTAL ENGINEERING IN THE mSTORICAL PERSPECTIVE Lucjan Pawlowski Information bombarding the nowdays Man may suggest that the world is on the way to an ecological catastrophe. I do not disregard the dangers we are facing now, but I would like to remind that since the beginning ofexistence Man has been facing numerous threats of an ecological character. First, they were caused by natural phenomena, such as huge forest fires, floods, earth quakes, and later on, caused by the development ofour civilisation, Man who was becoming more and more powerful in his abilities started creating new, anthropogenic threats. We may look pessimistically at the development of our civilisation, having in mind the catastrophes caused by Man's activity; we may also look at the examples showing the development of knowledge and the skills derived from it, which enable the elimination ofthreats and, at the same time making Man's life richer. It is not possible to make an in-depth analysis of the phenomena mentioned above in a short opening speech of the Congress. Nevertheless, I would like to share with you an optimistic reflection. I think that we can observe two trends in the development of our civilisation - good alternates with evil, environmental threats with the hope for their overcoming, and events swing to both sides like a pendulum in a clock.